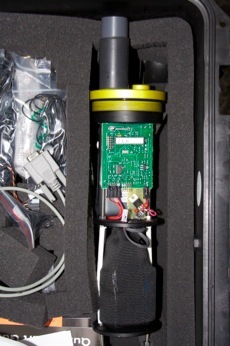 A simple instrument, for underwater acoustic monitoring, with high quality and affordable cost. 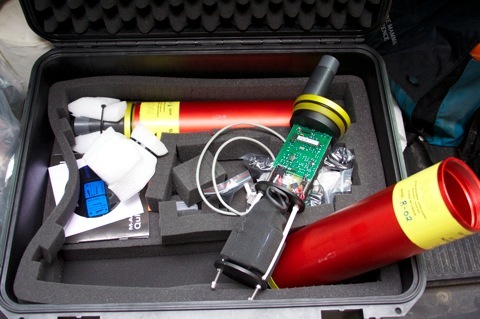 Suitable to monitor the acoustic environment from nets to conservation hot-spots, Marine Protected Areas, off-shore operations, RASPs offer a simple instrument than can be deployed and recovered from a RIB (see our sample deployment video). Initially based on commercial recorders (from M-Audio MicroTrack II to current Yamaha and Zoom solid state recorders, offering up to 48kHz in bandwidth at 24 bits). A custom control circuit was designed and integrated to offer full programmability of the units according to the desired recording schedule. RASPs can record acoustic signals following a time schedule, only limited by available memory and battery capacity. Currently the RASP2019, named URec384k - Underwater Recorder, features a Sensor Technology SQ26 preamplifier hydrophone together with a DODOTRONIC wideband programmable digital audio recorder. Custom projects included the RASP 17A, featuring a single Sensor Technology SQ26 preamplifier hydrophone and a ZOOM H1 recorder. Currently phasing out the RASP 15-SQ26, featuring a single Sensor Technology SQ26 preamplifier hydrophone. Initially based on the YAMAHA C24 and on more recorders in the RASP12B larger version, returns valuable results with minimum costs. 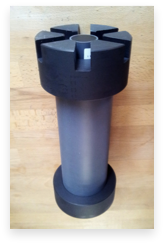 Featured with a Sensor Technology SQ26 or CRT hydrophone, is prepared into an PVC canister that can be prepared with several recorders. 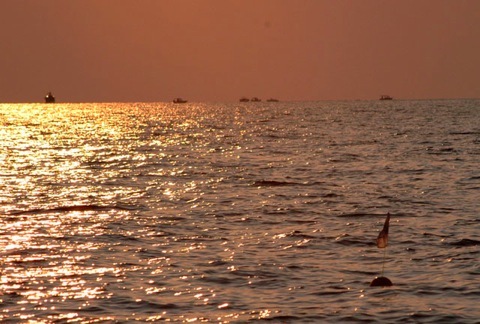 It is suitable to monitor continuous acoustic events, like dolphin predation on nets, and features a programmable recording slot over the 24hrs (depending on the recorder model). Based on M-Audio MicroTrack II with a custom made programmable timer, supports up to one 64GByte compact flash card.